Hannah Kidd and James Pett in Martin Lawrence’s Madcap. Young Richard Alston puts in a ghostly appearance at the site of this year’s Dance Umbrella festival. A montage of slides recalls seminal figures of Britain’s New Dance movement – the experimental counter to technique-based forms such as classical ballet and Martha Graham’s modern dance. Pioneering figures from the 1960s/1970s are projected onto a wall by the Studio Theatre at Central St Martins’ amazing new building at King’s Cross, the venue for Umbrella events. 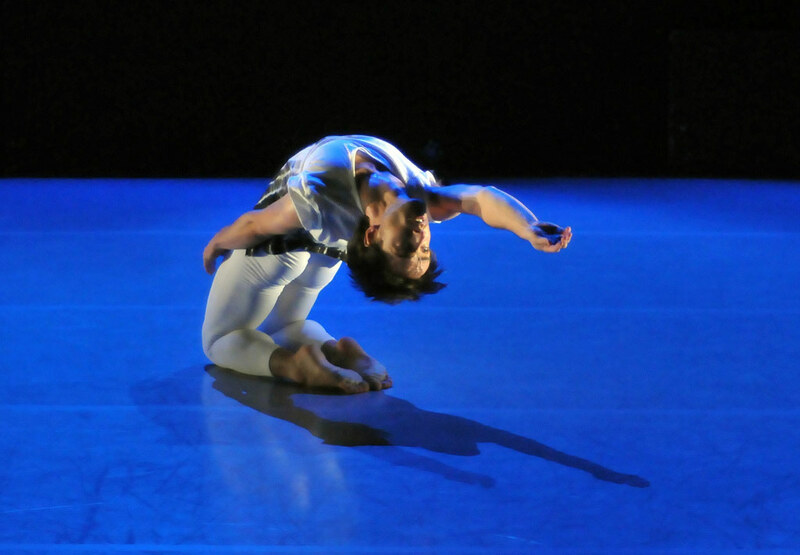 Alston, one of the first students at London Contemporary Dance School, investigated many ways of moving and choreographing before determining his own approach. It’s disconcerting to see the image of his youthful self in the company of radicals who rejected virtuoso disciplines and theatrical presentation: his latest young company (ten members, including three apprentices from LCDS) are skilled dancers, and the opening work in his At Home programme at The Place is glitzily costumed. Shimmer (2004) is one of his most classically-based pieces, filled with buoyant travelling steps pausing in poses at the end of phrases. Set to Ravel’s piano music, scintillatingly played on stage by Jason Ridgway, it’s a series of colour-coded duets interspersed with ensemble sections; in one, to Une barque sur l’océan, all seven dancers wash like waves across the stage. Moods vary with the music from melancholy to rejoicing. A long reflective solo at the end is taken by Nathan Goodman, a compelling masculine presence in a preposterous turquoise outfit. Julien Macdonald’s skimpy cobweb costumes, interwoven with crystals, are just about bearable seen from a distance on a starlit stage. Close up within the black box of The Place, they are overfanciful, unforgiving for the men. Goodman could do without the Swarovski glitter around his torso when the emphasis is on his legato lunges and swivels to the ground. He’s a dynamic mover, switching in an instant from speed to stillness. He is remarkable in Martin Lawrance’s new Madcap, the programme’s rousing finale. Goodman’s surname is a misnomer in this, for he is the daredevil of the title, disrupting the others’ relationships. He opens and closes the piece, the lord of misrule. Like a tarantula, he scuttles around the space, claiming it for himself, then bursts in and out of duets, running down the aisles of the auditorium. The Place is ideally suited for the rough and tumble of Madcap, the dancers’ gasps for breath audible despite the racket of Julia Wolfe’s (recorded) music, played by Bang On a Can All Stars. ‘Lick’, the first score, sounds like industrial mayhem. The dancers tug and twist in martial arts manouevres, the women rebounding into the men’s arms like punchbags. Gentle Liam Riddick seems an outsider, abandoned by the others until he finds lovely Nancy Nerantzi as a soulmate during ‘Believing’, when the music’s screeches subside into a hum. The racket returns for an apocalyptic finale, everybody rolling, pounding, scrabbling, until bad Goodman is left alone. Nancy Nerantzi and Liam Riddick in Martin Lawrence’s Madcap. 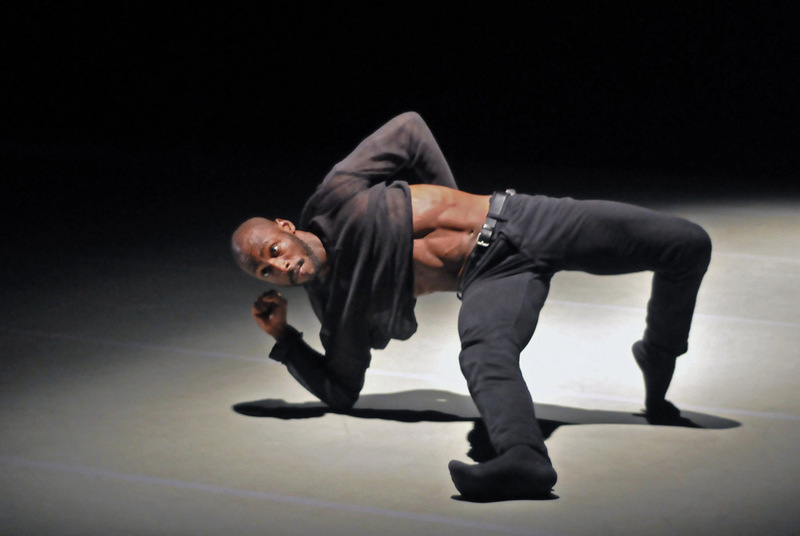 Though Lawrance’s choreography for Madcap serves as a gritty counterpoint to Alston’s Shimmer, it lacks the savage intensity of Wayne McGregor’s best work to techno music or the raw energy of breakdancing. Its dancers are still playing at being tough, their tightly-structured moves less reckless than they pretend. For the At Home season, Alston created a solo, Darknesse Visible, and added Isthmus, a succinct jeu d’esprit he made for ‘Bob’s Bash’, Bob Lockyer’s birthday celebration at The Place in April this year. Isthmus is set to Jo Kondo’s percussive music of the same name, its rhythms tumbling like patterns of speech. Because everything happens at once, the eye is dazzled by doubled up pairs and interlocking patterns until Elly Braund stands out as the cheerful loner. Alston is going to develop Isthmus, thank goodness, as soon as he has the opportunity – it’s a stunner. Pierre Tappon in Richard Alston’s Darknesse Visible. Darknesse Visible, to Thomas Ades’s piano music (based on a 17th century lute song by John Dowland), has Pierre Tappon as a troubled soul magnetised to the ground. Trapped in his thoughts, he occasionally flares a leg or an arm upwards but cannot escape gravity. In this context, it set up a soulful contrast to Goodman’s differently dark solo at the start of Madcap. A treat for The Place’s audiences, it won’t be seen on tour (details below….